The tarantula. One of the most terrifying animals in the world, but also; and this is the part which may cause some argument, one of the most beautiful and graceful! Yes, it could kill a human being with great ease; but is there not something extremely admirable about that? 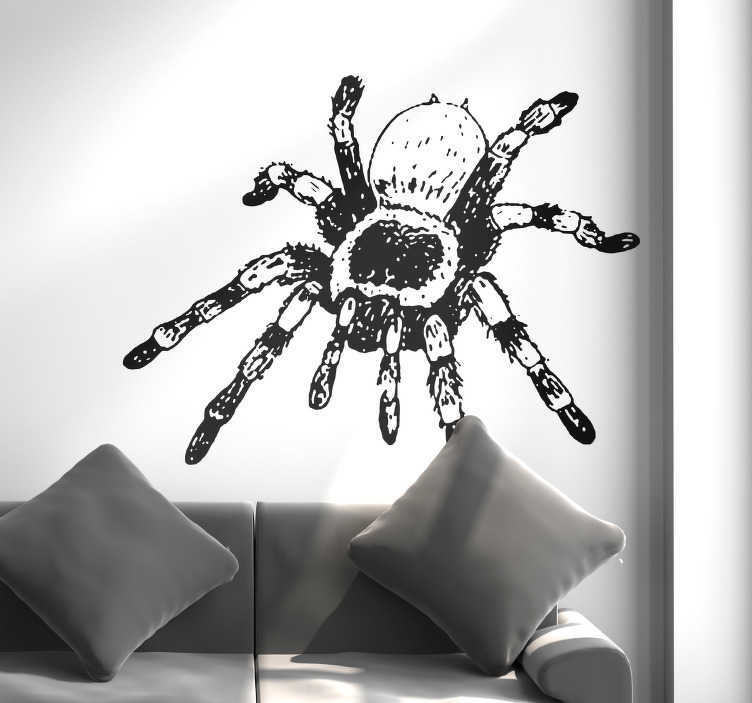 We at Tenstickers believe there us, which is why we have created this fantastic animal wall sticker, depicting the tarantula! Ideal bedroom decor for all those who love spiders as much as we do!